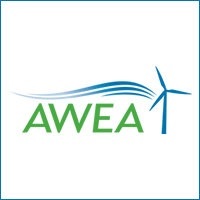 ANAHEIM, Calif. – (RealEstateRama) — The Board of the American Wind Energy Association (AWEA) elected Tristan Grimbert of EDF Renewable Energy its chair today as thousands of developers, manufacturers, and suppliers headed to the largest gathering of the wind energy industry in the Western Hemisphere. Kiernan hailed wind’s emergence this year as America’s No. 1 renewable energy resource in generating capacity. In the first quarter, the U.S. industry installed a new turbine every 2.4 hours on average. “Thanks to strong leadership in states like California, wind remains on the path to grow, create more jobs, and supply even more homes and businesses,” said Kiernan. California will soon receive 50 percent of its electricity from renewable energy sources thanks to a state law passed in 2015, and wind power will continue to play a significant role in the California energy supply, locking in additional consumer savings by 2030. State Senate President pro Tempore Kevin de León will keynote on Tuesday and describe an even more ambitious goal to reach 100 percent renewable energy by 2045. WINDPOWER attendees will sample the industry’s latest technology at over 400 exhibitor booths. They’ll benefit from discussions at a variety of Education Stations throughout the show floor, including the Power Station, Tech Station, Operations Station, Project Development Station, and Thought Leader Theater. Visitors and the media can learn more and plan their visit by downloading the WINDPOWER app. Tristan Grimbert, President and CEO, EDF Renewable Energy, today succeeds Chris Brown, President of Vestas Americas, as the Chair of AWEA’s Board. Also elected today were Chair-Elect Steve Lockard, President and CEO of TPI Composites; Treasurer Ray Wood, Managing Director-Head of Global Power & Renewables, Bank of America Merrill Lynch; and Secretary Doug Fredrickson, Vice President at Blattner Energy, Inc. Newly elected to the Board are Carole Barbeau, President, Energy Advisory – Region Americas, DNV GL; Buzz Miller, President and CEO, Southern Power; and Susan Nickey, Managing Director, Hannon Armstrong. Added as one-year special advisors are Brian Janous, Director of Energy Strategy, Microsoft; and Rob Threlkeld, Global Manager of Renewable Energy, General Motors. 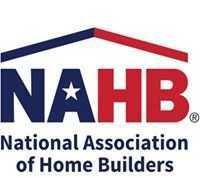 What: Welcome and Opening General Session, followed by a media availability for media attending the conference. The event kicks off with California President pro Tempore Kevin de León providing the event’s keynote remarks, followed by AWEA CEO Tom Kiernan explaining why American wind power needs to continue “Delivering on Our Promises.” Incoming AWEA Board Chair will then speak before transitioning over WINDPOWER’s most popular panel. Amy Harder, Energy Columnist for Axios, will moderate this year’s Industry Leaders Panel – the marquee General Session panel at WINDPOWER. This year’s panel covers implementation of wind energy into the 2020s, opportunities in tax reform, emerging political issues, and more. Where: Industry Leaders Panel to be held at the Power Station, simulcast in all education stations, the AWEA booth and streaming online. This year’s new simulcast feature enables the general session to reach a record number of viewers. A media availability will take place tomorrow in the Green Room (pictured below) at 11:00 a.m. Pacific Time, following the panel. You can register for the General Session livestream here. Wind energy supporters who aren’t attending this year’s conference can follow this week’s event by using the hashtag #windworks primarily on Twitter or Facebook.